The Endangered Author – a species under threat, for good and for bad. Keynote, X Media Lab 2013, Lausanne, Switzerland. I’ve spent a significant part of my life in the media industry in radio. Dealing with the audience, what we learnt was that if the content we provided was good enough, and if we managed to give clear enough instructions that at the same time were enticing enough, the audience wanted to interact. It could’ve been just to comment, it could’ve been to add to the narrative in one way or another, but interact they would. And the better we’d planned for that interaction, the better the end result would eventually be heading in a desired direction. This all still holds true, but nowadays it’s so much more than that. 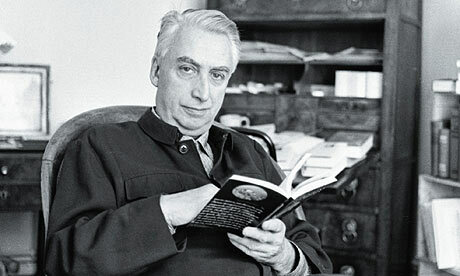 In 1968 already, Roland Barthes declared the ”Death of the Author”. His point being that there was a totally unnecessary focus on the author, a focus that only interfered with the text the audience should take part of. There was, according to Barthes, ”no need to look at any of the attributes of an author when reading a text, since that only imposed limits on that text”. Today, we’re looking at not so much the death of the author as at the possible extinction of the author. And it’s all the fault of the audience! But to be fair, this is something that perhaps not is new. Instead, it might be that the audience is going back to be what the audience was originally intended to be – an active part of any narrative, at times as important to the story as any of the characters. In medieval times, the theater was a highly interactive affair. 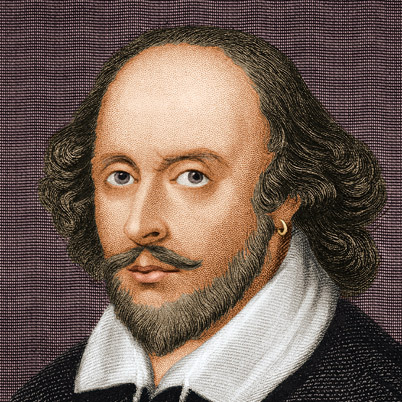 In Shakesperean theaters the audience very much interacted with everything that happened – they were cheering their favorite actors on while booing the ones they didn’t like, sometimes they would even be throwing food at the people on stage. Instant feedback, I believe is the term we use nowaday. possibly have been thought up by anyone else. By introducing the notion of ”style”, i.e. that it’s not really the ideas that matter but the way in which they are expressed, lawyers were able to establish authors and thereby copyright – leading to what we’ve been brought up with all our lives, in literature, TV, movies, you name it. 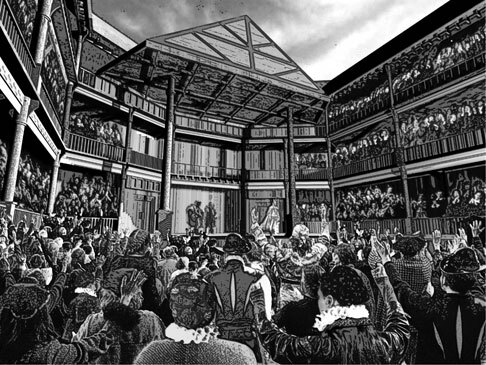 There have of course been instances where the audience have remained interactive and engaged. The Japanese kabuki-theater is one example, where the audience shouts out to the actors, who in turn can step out of their roles to talk to the audience and even comment on the performances of other actors. By and large though, the Author has reigned supreme. But this is the world right now. One minute I’m watching a video of someone riding a yak in Tibet, the next I’m discussing the virtues of Ben Affleck as Batman on a Reddit board. The same goes for everyone else on the Internet, whereever they come from. And with this active role when it comes to accessing content, there comes also a feeling of entitlement. ”I CAN take this and do whatever I want with it, so why shouldn’t I?”. Again, perhaps not the most artistic in the world, but as AdWeek reports, 225.000 people viewed the original videos by the brand. More than 10 million people viewed the different fan created videos. I.e. it makes sense to create content that people care about, in one way or another, but for Swiffer it would have made even more sense to plan for how to harness that affection in the long run. Now this, as I said, is the world we live in today. 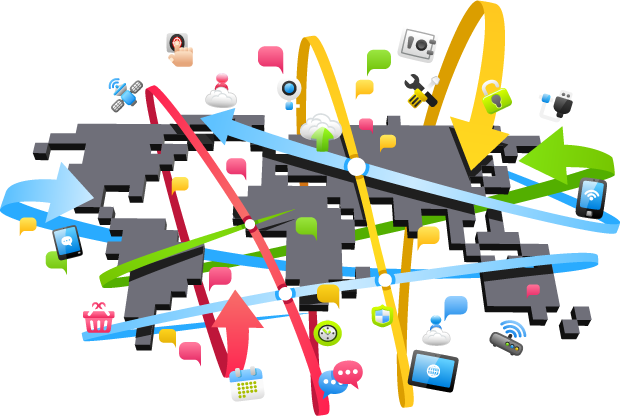 In order to cut through this clutter of content and information, we need to make our content stand out. This can be done in different ways. We can throw heaps of money at the problem and thus raise awareness, but the quality of the content still needs to stand up to scrutiny in the long run. And if we make good enough content – engaging enough, exciting enough, immersive enough – the audience will take it , they will chew it over and they will hand you back something you could not have imagined in your wildest dreams. Again, it makes a lot more sense to plan for this interaction, to give the audience a reason and a direction to create and interact, and the necessary tools to do so. Looking at this campaign it feels pretty clear – if we can create our own content – be it drama, documentaries, entertainment formats, e-books, recruitment campaigns, whatever – with as compelling reasons to interact as possible, as clear instructions and as well planned and executed ways of following up that interaction as possible, we will see a positive end result. You will need to know a lot more about your audience than before. This means not only who they are and what they like, but on deeper levels such as their needs and wants and on more superficial levels such as language and mannerisms. And you need to know where they are – not only physically, but virtually as well. Is Snapchat or Pinterest the only places where you can reach your target audience? Then you’d better get studying those apps pretty quickly! Never has the saying ”fail fast and fail often and fail forward” been as true as when dealing with an interactive audience. Be prepared to hit a brick wall on what might feel as a way too regular basis. Shrug it off, draw conclusions and go at it again. If you’ve done great content, you will see success. And it can rapidly become an overwhelming success as well, stretching your resources to their limits. Trying to play catch-up with an eager, engaged audience is not a good place to be in; decisions become hasty, mistakes become legion. Even if you don’t have the funds to actually create everything you’d need to keep the fire of your content burning in the long run, at least plan for it, what it should be and why! Finally, I must say that these are glorious times to be a storyteller. Storytelling is in demand on all levels, while the possibilities to reach a global audience in weeks, if not days, is on a level previously unheard of. In conclusion – what we are seeing is what I would say is a form of Darwinism taking place, where authors who can adapt to a new – or, as it were, old – world, and old ways of storytelling will be in a much better position to have their ideas and stories procreate and populate the world.